The latest ranking by Aon Hewitt’s People Risk 2012 Update will motivate East-bound businesses to opt for Singapore company formation. According to a recently-published People Risk 2012 Update by human resources firm Aon Hewitt, Singapore has the lowest talent risk in Asia Pacific and the third lowest worldwide. The other four Asia Pacific cities with the lowest talent risk are Hong Kong, Melbourne, Sydney and Taipei. Singapore Company Registration specialist Rikvin is confident that the latest ratings will bode well for entrepreneurs who are considering relocation to Singapore. Additionally, the rankings may motivate more companies to opt for Singapore subsidiary or branch registration. The Index, which measured 131 cities worldwide, was designed to help organizations make better-informed human capital-related management decisions such as relocating operations or functions. The Index assessed cities based on 30 factors spread across five areas namely 1) demographics, 2) government support, 3) education system, 4) talent development and 5) employment practices. Singapore scored the lowest risk due to strong government support and talent development. Aon Hewitt accounted Singapore’s high score in the area of government support due to non-confrontational and transparent work processes as well as collaboration between the private and public sector on human capital issues. Analysis by Rikvin shows that in addition to Aon Hewitt’s ranking, Singapore has maintained the top position in BERI’s Labour Force Evaluation Measure for 30 years. 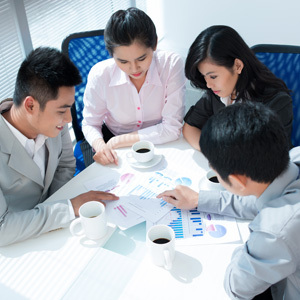 In 2011, Singapore came in as the seventh most motivated workforce in Asia in IMD’s 2011 World Competitiveness Yearbook. Furthermore, the World Economic Forum’s Global Competitiveness Report 2011-2012 has ranked Singapore as the top fifth economy in the world for the most business conducive labor regulations. “In a bid to create a future-ready workforce, Singapore has been stricter with the quality of labor and is moving towards creating a more productivity and innovation-driven workforce. While it incentivizes employers to train and upskill staff domestically by offering substantial tax credits via the PIC Scheme, it also looks to import high-calibre game changers through the Singapore employment pass scheme. We anticipate higher company incorporation activity on the back of this most recent affirmation,” added Mr. Bakhda.